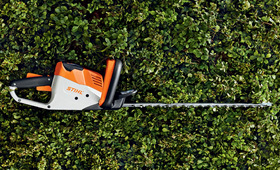 The COMPACT battery hedge trimmer is effortless to control. Its light weight allows you to carry out your work with surprising ease. It enables you to shape your hedge just how you want it.